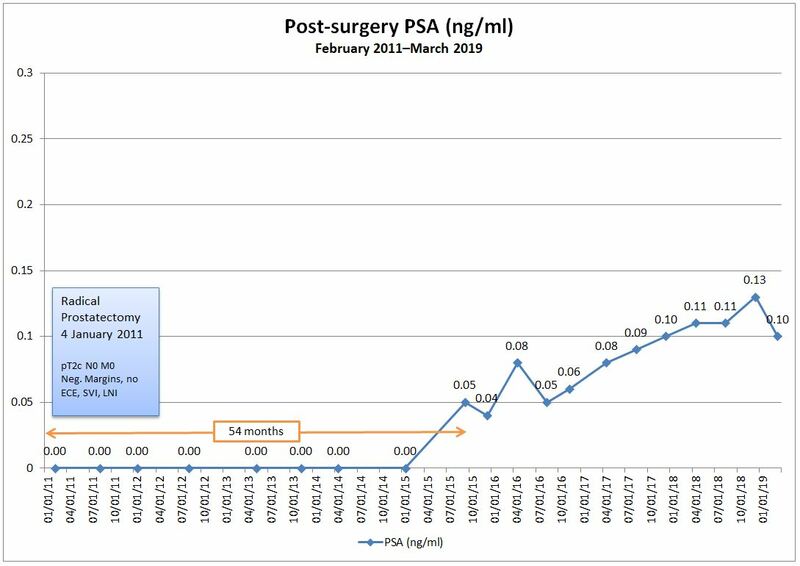 Those more astute readers of this blog may have noticed that I’ve added a new page, “Life After Radical Prostatectomy – 30 Months Later,” to give a quick overall update of where I’m at. Check out the link to the right under the “Pages” section. The article is a bit alarmist, highlighting one really bad case, considering the thousands of perfectly good outcomes from a robotic surgery each year. Still, it is good to see that perspective. For me, one of the main and obvious take-aways from the article is that the surgeon’s experience level using the robot matters. But then again, I already knew that when I drove myself nuts trying to find the best, most experienced surgeon possible. If you’re having surgery at a teaching hospital, you may want to consider asking if there will be any “student drivers” at the robot’s wheel and, if so, for what parts of the surgery. Because once you’re in anesthesia la-la-land, you won’t have a clue as to who’s doing what to your body. Bottom line: research, research, research. It’s your body. It’s your life. You have every right to ask those questions before “hiring” your surgeon.